Snowjoggers are the ultimate winter fashion boot for this winter; they are comfy, stylish and so snuggly! Constructed out of thick, soft material to keep your feet warm and cosy. 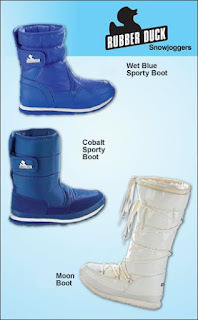 The Snow Jogger boots are styled like a trainer around the bottom with an extra grip sole to keep you safe. A small touch fastening strap around the side allows for adjustability to keep your legs extra cosy. Shop online at 24studio.co.uk for more great deals!